I’m Back at the Keyboard!!! Yay! I’m diving back into my work in progress, book three of the Finding My Highlander Series. The heroine in book three embodies the untamed Wild Woman of the 20th century. That is, a young woman allowed to experience and express her deepest sexual and emotional elements, as the 1970’s women’s movement encouraged. Now, she finds herself tossed into the wilds of early 18th century. And that transition comes on the heels of a deeply scarring event. The story line of My Colonial Highlander challenges our heroine to find her center, her soul, and a heart she has locked tightly away. Incredible challenges and shocking revelations expose her in ways she couldn’t have imagined in her former life. 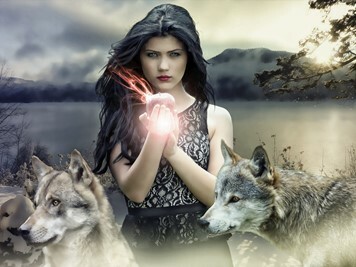 The mythological wild woman or wolf woman came to mind as I delved deeper into the emotional aspects of my heroine. While contemplating this element of my story, I revisited a book some of you may be acquainted with, Women Who Run with the Wolves. This seminal work by Jungian analyst and cantadora storyteller, Clarissa Pinkola Estés, Ph.D., is a must read for anyone interested in mythology and how myth reveals the psyche. Especially the psyche of women. Here’s the Amazon link for those interested in further perusing this book: https://www.amazon.com/Women-Who-Run-Wolves-Archetype/dp/0345409876 Or check it out at your local library. 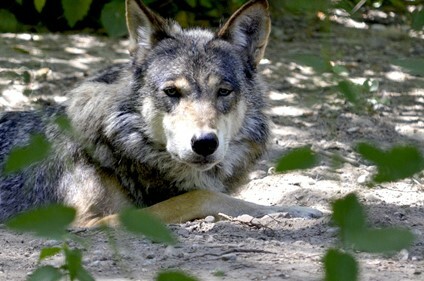 Since I feature wolves as minor characters in this story, (yes, animals are often characters in stories,) it became essential that I learn as much as possible about wolves, especially cubs. Here are a few facts that might surprise you. Wolf pups are usually born with murky blue eyes that transition to bright blue then turn yellow or golden at about six to eight weeks. The primary difference between wolves and dogs is that domesticated dogs are always dependent on their humans, whereas wolves are always independent creatures. For this reason, wolves never make good pets. I wrote a long reply to your post but evidently didn’t send it properly and just noticed this oversight today. You’re absolutely right about the human/wolf interactions. As a person 5’8″ that chair would have definitely put you in mind of ancient torture chambers. And the tatas! we won’t go into too much on that except to say it hurt like the dickens and I now have pain in on breast that turns out to be a deep tissue bruise or possibly a fold in the internal tissue. Oh, the marvels of the body! I hope you continue to improve. Thanks you so much for taking the time to write a response to the blog. Check out the one posted today. Meeting the bairn… — free short story.